Siesta Key fishing videos is a page listing links to videos pertaining to fishing on Siesta Key in Sarasota Florida. Anglers can view videos on snook fishing, inshore Gulf of Mexico fishing, tarpon fishing, sheepshead fishing, and river snook and freshwater fishing. Look at this page occasionally as it will be updated with new videos when time permits. Capt Jim Klopfer will try to add new videos covering different fishing situations throughout the season. Videos are fun to watch and hopefully visiting anglers will enjoy these Siesta Key fishing videos. The goal was decent action along with tips and techniques to help other anglers catch more fish. Most videos are of friends while there are also a few of clients on Siesta Key fishing charters. There are so many different species and techniques employed in Sarasota, Florida. Speckled trout hit shrimp on the deep flats. Spanish mackerel take lures in the inshore Gulf of Mexico. False albacore are great sport off of Point of Rocks on Siesta Key. Giant tarpon eat small crabs close to shore. Sheepshead hide around docks and take live and frozen shrimp. Snook hit Rapala plugs in Sarasota Bay and in the Myakka River. 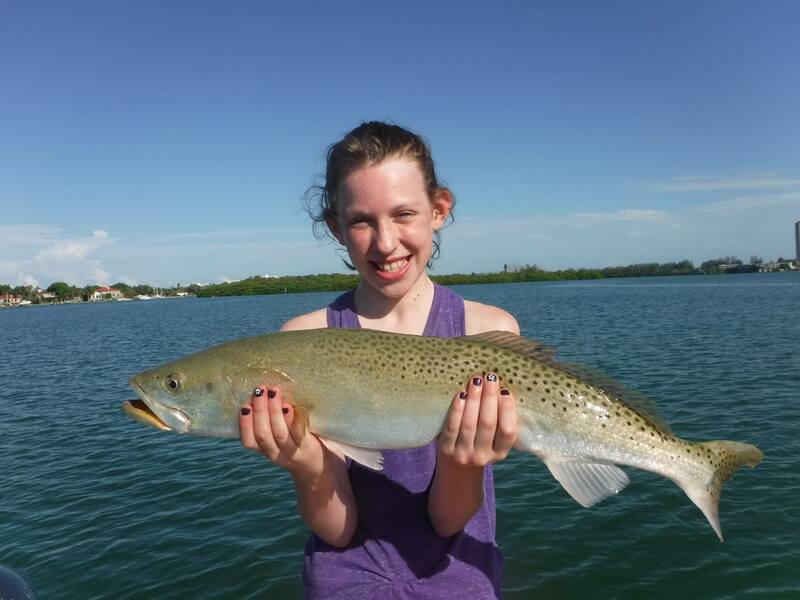 Visitors to the Siesta Key fishing videos page may also like to read the many fishing articles that are on this site. Most of the situations that come up when fishing Siesta Key are covered. Diddrent times of the year bring different conditions. Anglers need to adapt to these ever changing conditions in order to be successful. Current fishing reports will help anglers with up to date information on fish locations and the baits used to catch them.